The Rev. Bill Friederich has been an ordained, professional Christian minister for over 30 years. He holds Masters Degrees from Wheaton Graduate School in Chicago and Bangor Theological Seminary in Bangor, Maine. He has served churches in Illinois, Maine, Germany, and now Florida. Growing up as a child in Illinois in the Evangelical and Reformed tradition of the United Church of Christ, has given Bill a deep respect for the liturgies, theologies, and the sacraments of baptism and communion. As a UCC minister and now credentialed with the ICCC, the Chapel’s affiliation, his strengths as a minister are shaped by a profound experience for compassion and empathy, open-heartedness, embracing diversity and inclusivity, with a mission towards collaborative ministry. Bill’s style is to work in community on projects and to dream our missions together. Music and the Arts are an important passion he shares. He hopes to plan worship experiences with individuals who share similar passions for expressing our faith and the Gospel through creative styles while simultaneously honoring traditional worship. Rev. Bill is a person who concurs with the Chapel’s Affirmation of Faith the “Service is our prayer”. We believe we can be the people God intended for us to be by reaching out to those are marginalized, rejected, powerless, hurting, and without a voice. His ministry is focused on being agents of change and transformation as well as healing and loving those who have been excluded. Bill’s deepest desire is to work towards creating a welcoming sacred space where there will always be room at the table for those who have no place. Charlie is a Maryland native. He studied and then taught at Boston University, was a Chaplin in a mental hospital, and Pastor with a United Methodist Church in Ohio. He came to southwest Florida in 1991 and served at the Trinity Methodist Church in Bradenton prior to “finding” the Chapel in 1993. The Chapel is his twelfth church home. 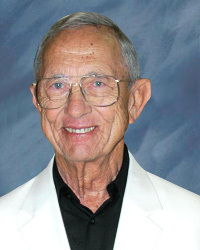 Charlie became Pastor Emeritus in 2010. MiMi presently facilitates the Shifting Sands Support Group and the Caregivers’ Support Group at the LBIC. Additionally, she provides counseling sessions related to health care issues, and assumes the advocate role for our community residents in hospitals and/or other health related facilities when warranted. For the LBK and surrounding areas, MiMi provides scheduled memory screenings for those concerned about their memory, educational presentations related to health care and a telephone lifeline to those in need of pastoral care. Bonnie serves as our pianist, keyboardist, and choir director. In consultation with Reverend Friederich, she will oversee the music program with the selection of all worship music, the hiring of guest soloists, the recruitment, rehearsing, and conducting of the Chapel choir, and as accompanist on the piano and keyboard. Bonnie received a Master of Music in Piano Performance from Syracuse University, Syracuse, New York and a Bachelor of Music, majors in Music Therapy and Applied Piano from Alverno College, Milwaukee, Wisconsin. 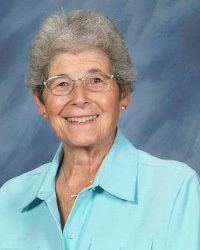 She has a 40-year history as a church musician, director, teacher, music therapist, and performer. 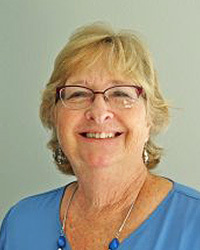 Originally from Ohio, Cyndi came to the Chapel following moves to Boca Raton and Jacksonville, Florida. Her varied background in administrative services is a great asset to the Chapel. Cyndi is responsible for the overall office operations and provides the necessary support to the Chapel Board of Trustees and its many committees. 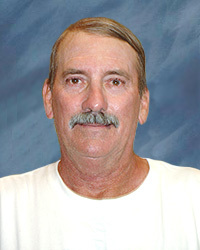 Jerry is originally from Augusta, Georgia and has an associate degree in Parks Management from Lake City Community College. Prior to coming to the Chapel he worked for a company that installs and repairs windows. His custodial duties include setting up rooms for group meetings, multiple interior and exterior building maintenance as well as various projects on the grounds of the Chapel.